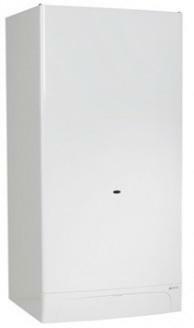 The Riva Plus ERP is a combi gas boiler that is wall mounted and has an output of 28kW. This boiler has an energy efficiency rating of B. The easy to use control panel enables you to adjust the temperature of your hot water and heating and includes a 24hr digital programmer which will help you to control when your heating during the day and night. It is a reliable boiler that includes frost protection system to help protect your boiler from freezing and an anti seizure routine to stop components from seizing up during periods of inactivity. This model is as also available in the output options of 24kW and 28kW and includes 2 years warranty.